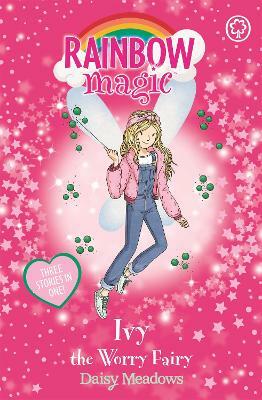 Join Rachel, Kirsty and Ivy as they help keep worries at bay!Ivy the Worry Fairy has a very important job - helping people manage their worries. Everyone gets worried from time to time, and it's important to know how to deal with it. But when Jack Frost steals Ivy's magical objects, her special power to help people is threatened! Can Rachel and Kirsty help get them back and help restore people's inner calm everywhere?